Home » E-Learning » Digital Technologies : Experience and evidence. Digital Technologies : Experience and evidence. Why I participate in some forums and not others. no one else has made a start. You want to go where there’s some buzz already, though not so much that you feel you will never be able to join in the conversation. This is an asynchronous beast. If I come in late I may read every post with care before I respond, which can result in a long response. People should feel just as comfortable simply answering the question, ignoring others at first .. or just reading the last couple of posts and responding to them. I might quote them in my own group. There have been times when lifting the thread of catalyst that got them going in another group will do the same in your own. At Harvard they use as system called ‘Rotisserie’ in some asynchronous threads/forums which, like playing pass the parcel (or pass the microphone) require people to take it in turns to say something. It matters that activities have been designed that get people engaged without the need for a tutor all the time. (Blog 25 September 2010) Why do the Plenck 2010 forums work? Many themes. It is your choice to join. Updates are sent to your email. You read and add, return to the parent, and comment. They are seasoned e-educators and lucid. It is more jamming around a piano. You have three hours in which to return to your post and edit, add or delete. People don’t question the set up, they just get on with it. Do we write about what it is to put words onto a sheet of paper with a pen? Or do we say something? The increasingly portable nature of computing hardware and technologies has progressed for three decades or more as the earliest efforts of mobile wordprocessing – the Microwriter, the popularisation of computing with the BBC micro-computer, then on to laptops that become lighter, smaller, faster and more robust, to palm devices such as the Psion and hand-sized PDAs, and the gradual merging of all manner of personal, portable devices that carried music, organisers, phone technology and more, with MP3 players popularised by iPods, then the spread of mobile phones, in particular inexpensive communicating through text that brings us to 2011 and light, very powerful two-part keyboard and screen laptops, single part touch-screen tablets of various sizes that are becoming indistinguishable from smartphones. Uptake and support for various devices has been made possible as networks spread, the technology became faster, less expensive and widespread, and importantly a combination of content and communication made the devices increasingly appealing, powerful and personal. Attendance at Learning Technologies 2011 and subsequent use of a Sony Flip for interviews and surveys. From The Swimming Drill Book (2006:04) ‘Standing Streamline Ruben Guzman. Fig.3. From The Swimming Drill Book (2006:06) ‘Streamline Float’ Ruben Guzman. Many Open University students combine work and study; consequently learning in a number of places, or on the move, becomes a habit. Informal learning and social interactions are also increasingly recognised as important components of a person’s ‘learning life’. Academic and support staff are part of this revolution. Mobile learning is very flexible: it can be the sole mode of delivery, a significant learning activity, or just a small part of a print-based or online course. Agnes Kukulska-Hulme (2010), with case studies by Anna Page. 2% of OU students (4,000 or so) use tablets (not just iPads). 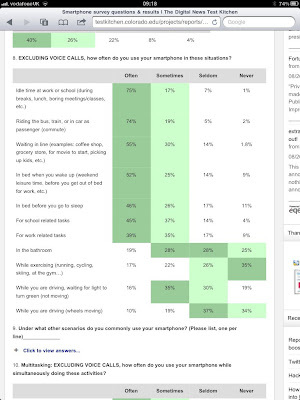 11% use SmartPhones (not just iPhones). It is the combination of physically being ‘free’ to roam with a robust mobile device, as OU MBA students Lt. Col. Sean Brady put it, a ‘university in your pocket’ (REFERENCE) and a playful, personalisation and desired ‘freedom’ to do things your way at a time and place that suits you, that enables learning to take place away from the learning institution, library or desk, unfettered by a bag of books and files. Mobility and immediacy, exposure to new, or similar products and tools, fashion, peer group, nature of the subject they are studying, their ambitions, who they are, how much time they have, their kit, connection and inclinations, let alone the context of where they are going online and most importantly the means to communicate this instantly through microblogging, blogging, social networks, email and text facilitates and fuels further development, the millions of people online making development commercially viable. Taking advantage of participation (Seely-Brown), learning on the periphery (Seely-Brown), vicarious learning (Cox) and if you can get your tongue around it ‘serendipitous learning.’ (me I think). (WK21 Activity 1c Web 2.0 Tools for learning REFERENCE) Conole (2011) invites us to use ‘metaphors for meaning making’. Expressed in various forms in charts from Dion Hinchcliffe. Accessibility: Regarding the failure to turn a 4 day face-to-face course into a blended course of one day face-to-face, then online with four additional option. ‘Most of these problems seem to be rooted in bad connectivity which made communication difficult and audio discussions impossible’. 100,000 in Indonesia learning English through SMS messages. See issues of accessibility from H807 and H810. This cover 20 benefits of mobile learning though. Pettit, John and Kukulska-Hulme, Agnes (2007). Going with the grain: mobile devices in practice. Australasian Journal of Educational Technology, 23(1), pp. 17–33. 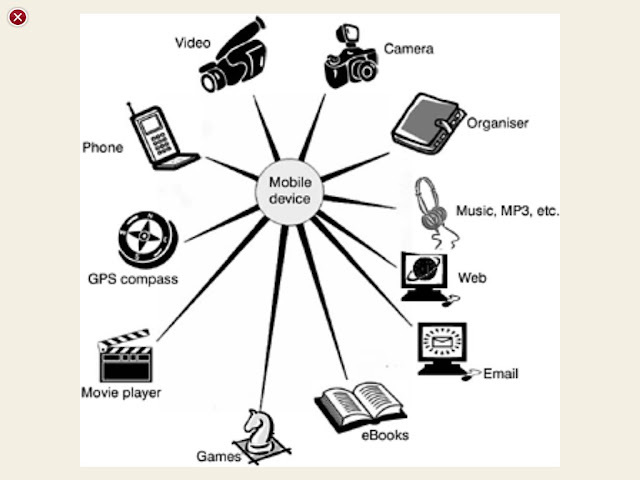 Kukulska-Hulme, A. and Traxler, J (2005) Mobile Learning. A handbook for educators and trainers. By Jonathan Vernon in E-Learning, H800: Technology Enhanced Learning - practices and debates, M-learning, MA in Open & Distance Education on September 3, 2011 .